About what behaviors you would like to change and the benefits you would derive from the new behaviors. Using guided imagery, the suggestions for change are recited back to you. This allows your subconscious mind to accept them. Your subconscious mind (motivation) and conscious mind (desire) start to work as one. As a result, you will be able to create a stress-free behavioral changes. It is a natural process that everyone experiences several times each day. When we are resting our eyes, staring straight ahead, or perhaps when driving and our mind wanders and we miss our turn, this is a form of hypnosis. Even while watching a movie, we know that they are actors and it is a script, but still we move into the story and feel the emotions. All of these are examples of hypnosis. The hypnosis we use for creating change is called guided imagery. While in a relaxed state, I will give you suggestions in the form of pictures or images. These images become knowns to your subconscious mind allowing for a more desired outcome. 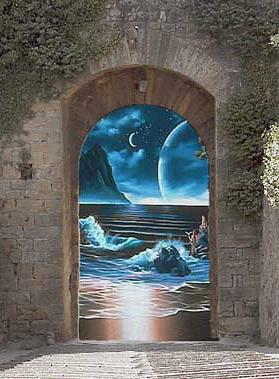 Open the door to your mind with hypnosis. Talk and discuss your current behavior and your desired behavior. Plan strategies for your desired behavior. Explain what hypnosis feels like, as you relax. Diagram how and why hypnosis works. Theory of Mind. Explain coping graph. Discuss how together we can raise your coping mechanisms. Test your suggestibility and induce hypnosis. Begin progressive relaxation and imagery. Visualize a special place and introduce self hypnosis option. Seal in your positive self-image. Count out 0-5, fully awake, and a refreshed state of consciousness.